Exercise balls are wonderful pieces of equipment if you want to lose weight or get into shape. You can do a wide variety of exercises on them and see fast results. But what happens when these balls aren't used correctly? 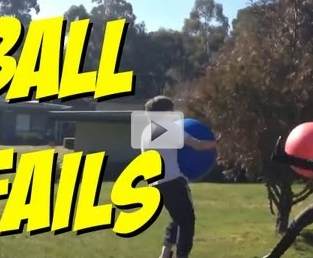 This video is a compilation of several of the most humorous exercise ball fails found on YouTube. Check them out.